Final Nioh DLC Pack Detailed by Team Ninja | Nerd Much? "The End of William's Journey." Tom Lee, Creative Director over at Team Ninja, dropped some details this morning regarding the final set of DLC coming for the surprise PlayStation 4 hit, Nioh. One of those details included the pleasant news of a release date before the end of the month. 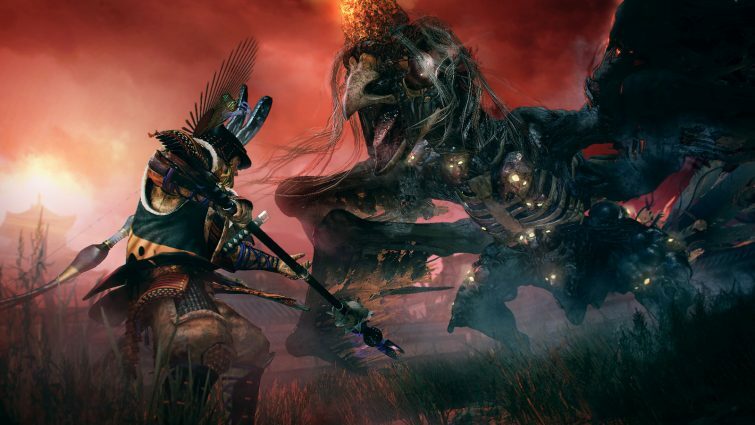 While the new DLC contains the usual main missions, sub missions and Twilight missions you’re familiar with in Nioh, it also contains an entirely new game mode: The Abyss. Team Ninja’s Creative Director didn’t go into specifics, instead teasing more details closer to release, but he did state that The Abyss is a place in which “the strongest warriors can test their skills in a perpetual battleground.” Lee promised “epic battles and unique challenges for the most skilled players” within the mode. So it’s likely we’re looking at some type of challenge maps akin to the type we saw within the Batman games and others. Bloodshed’s End will also incorporate plenty of other additions to Nioh, including new characters, a new difficulty level, new Yokai, and a new Guardian Spirits. All of this comes with a $9.99 price tag – unless you bought the season pass, of course. Nioh‘s final DLC hits the PlayStation 4 on September 26th.